The editorial “The Morning Knock” in The Indian Express (June 7, 2017) on the CBI raid NDTV founders Prannoy Roy and Radhika Roy was disappointing. The newspaper failed to make a fair assessment. The editorial raises the issue of media-transparency – the “why” behind the editorial – and the need for accountability on the part of the media itself. The editorial, correctly stated that the “media house is not expected to be above the law” but proceeded to invoke the epithet “caged parrot” for the CBI and draw upon the “relics of a dark time to which no one wishes to return”. The illustrations given would have been justified if the facts of the case in question showed that the raid was unwarranted. The newspaper, however, chose not to commit to this position yet suggested the possibility of raid being of questionable intent! Any search for information which confirms one’s preconceptions is nothing but cherry picking – using information which confirms one point of view while ignoring all data which can contradict it. And having itself acknowledged that “ownership of most media today is defined by vertiginous web of cross-holdings involving corporates and entities for whom media is not primary business” the newspaper would have done to maintain the difference between the interest of the media from the commercial interests of the media owners which it chose not to do. The editorial raised what it called “disquieting questions”. The CBI, it said, stepped in seven years “after the event”! “Event” is a value neutral description and is inapposite considering the subject of the editorial. It is interesting to note the absence of any word (criminal?) modifying the noun “event” and attributing to it any quality (crime?) as to justify initiation of an investigation. If it was an “event” seven years is a long period of time for it to be worthy of interest or attention but if the event was a “crime” the passage of seven years is irrelevant and the more disquieting issue is its being hidden for the period. The editorial next regrets that “there is no original investigation”. Investigation, however, follows and does not precede registration of information concerning commission of an offence. And if “original investigation” is the key how can the newspaper without even touching the facts of the case leave aside investigating the same call the initiation of the process “disquieting”? ICICI, the editorial says, has not complained and the loss is described as a “private loss” to be decided by the “law of torts” with which the government is not expected to “weigh in”. Firstly, the concept of locus standi is alien to criminal law and anyone can put the criminal law into motion unless contra-indicated by the statute. Secondly even private banks perform public duties and their officials can be prosecuted for corruption or otherwise abusing their authority. Thirdly, even torts can be simultaneously be criminal wrongs and there is no bar to proceed under the latter. In fact as banks have the power to create money, shape economy and manipulate investments the need for accountability and control is higher in “events” involving banks which consequently cannot be called “private wrongs” to individual victims (to which law of torts applies) but “public wrongs” which need to be prosecuted on behalf of the society and placed clearly in the realm of criminal law. 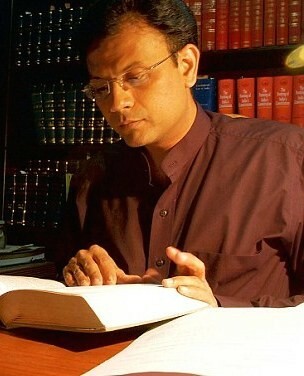 The editorial contradicts itself by saying, “disputes concerning defaults bigger by order of magnitude are being heard by courts and the government has made no attempt to short circuit the process by letting the CBI loose.” The grievance thus shifts from an “event” to a “private wrong” to eventually a wrong which many others have also committed a plaintive attempt following this change in perception at seeking parity in illegality and perpetuation of criminal order – something which does not behove a newspaper which proudly proclaims “journalism of courage”. The newspaper should be more concerned about those left out rather than those reined in. Besides how can the newspaper complain simultaneously about “letting CBI loose” AND its being a “caged parrot”? Did the newspaper want the CBI to be caged in rather than being free to investigate the wrong. Does this not entail conviction being replaced by preferences and position on principles shifting with the personalities involved creating the very crisis of credibility for the newspaper which it apprehends is being faced by the CBI? Besides “disputes” of “bigger defaults” are weasel words stripped of specifics which can be manipulated according to one’s biases and written without threat of contradiction with no means of knowing which disputes and defaults the editorial had in mind to test whether its opinion was in fact correct. Any tampering of information by the government is wrong. However a correct portrayal of it by the media is as equally mandated. And both need to be wary of giving it a spin manipulate opinion rather than inform it and allow it to reach its own conclusions about the issues which confront it. The case of the Roys is a test not only of the “commitment” of the CBI to investigate fairly as the editorial rightly opines but its reporting by the media is equally a test of its commitment to transparency and reliability of information purveyed by it. Right to Privacy – Now Public! Right to Privacy - Now Public!